To investigate the ability of higher nitrogen (N) use efficiency (NUE) in rice production to achieve higher grain yields by optimal N management (OPT). 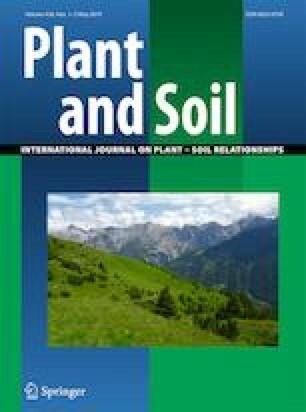 In 2012 and 2013, four field experiments were conducted in Liyang and Rugao counties, Jiangsu Province, China to investigate the ability of the N-nutrient index (NNI) to mediate the effects of N-free control (CK), farmers’ fertilizer practice (FFP), and OPT N management methods on grain yield and NUE through regulating the leaf functions of rice. Compared with FFP, the average rice yield and NUE for OPT were increased, while the N rate was reduced. NNI showed a dynamic change that reached an optimal status in OPT at the harvest stage. N management had a remarkable effect on the leaf area index (LAI), with OPT mitigating the differences between leaf positions, such that basal leaf LAI was improved to compensate for the decreased LAI of the top three leaves. During the grain-filling process, the top three leaves exhibited higher net photosynthesis rate (Pn) and higher grain weights and shorter grain-filling periods of both superior and inferior spikelets in OPT. Based on the contribution of different organs to grain production from the heading to harvest stage, two strategies of yield formation were observed, in which OPT enhanced the dependence on the stems (stem, sheath, and other leaves), while FFP was more dependent on the top three leaves. Our results indicate that optimizing N application improves NNI and leaf functions to increase rice yield and NUE. Jiuxin Guo and Songnan Yang contributed equally to this work. 1. Effects of optimal nitrogen (N) management (OPT) and farmers’ fertilizer practice (FFP) on rice production were evaluated. 2. Rice yield and N recovery efficiency of OPT increased by 4.5% and 76.8% while N rate reduced by 31.4% compared to FFP. 3. OPT improved yield and N-use efficiency by optimizing N-nutrient index (NNI) and leaf function. 4. The optimized NNI and leaf function improved grain filling capacity of OPT. 5. Two strategies for increased yield by increasing the dependence on the stems in OPT and on the top three leaves in FFP. The present study was financially supported by the National Key Research and Development Program of China (2017YFD0200206), the Special Fund for Agriculture Profession of China (20150312205) and the National Basic Research Program of China (2013CB127403). The authors are grateful to Professor Dr. Yi Zhou in Anhui Science and Technology University for the very valuable comments and suggestions on the manuscript. Excellent technical support in the field experiment provided by the Institute of Agriculture Science Research of Rugao County and the Station of Comprehensive Agricultural Service in Nandu Town of Liyang County, Jiangsu Province, China.